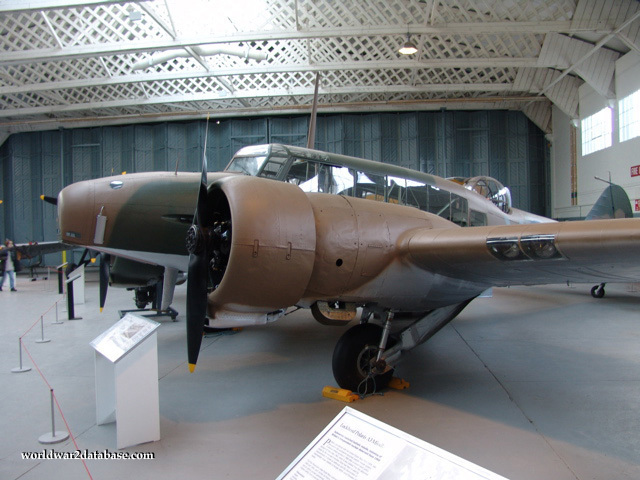 The Avro Anson was the premiere multiengine trainer for the Royal Air Force for thrity years. Joining the RAF as an antisubmarine and reconnaisance bomber, its single .303 machine gun and two 100-pound bombs were not powerful enough for successful attacks. N4877 was flown by Pilot Officer P W Peters on June 1, 1940 when this aircraft and two other Ansons were attacked by nine Messerschmitt Bf-109E fighters. The Ansons shot down two Germans and damaged another without loss to the Ansons.